Tartar sauce, from the French sauce tartare, has become such a staple condiment, it’s hard to imagine enjoying fried foods – fried seafood in particular – without it! It’s super easy to throw together but for a truly great tartar sauce we need to achieve that perfect balance of piquancy without it being too tart or too sweet. For that reason I like to supplement some of the mayonnaise with creme fraiche or sour cream for a lighter, fresher flavor and texture along with fresh lemon juice; I also use dill pickles instead of sweet bread-and-butter pickles to avoid the too-sweet flavor you often find in fast food/takeout tartar sauces. Another great choice is cornichons, which provide an even crunchier texture than dill pickles. The capers provide that perfect touch of brininess, the Dijon mellows it out a touch, and the parsley adds a hint of fresh pepperiness. You can also add some fresh chopped dill which pairs superbly with fried fish. Some other ingredients I like to add on occasion to change things up are finely chopped olives and/or a touch of horseradish. Experiment and find the combination that you like best. To make tartar sauce you simply stir all the ingredients together in a bowl and let the sauce chill for at least 2 hours or overnight. The longer the better because the flavors will intensify. And in the end you’ll have the best homemade tartar sauce! What do you serve tartar sauce with? 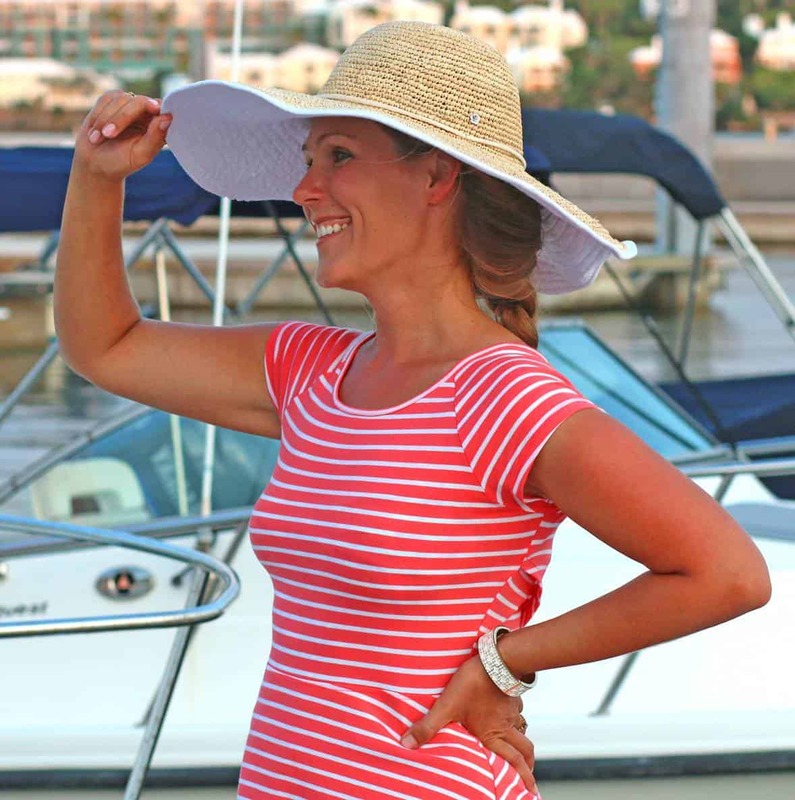 Here are a few ideas to get you started: It’s perfect for fried fish, clams, shrimp, calamari, oysters, boiled lobster, fried chicken tenders, hushpuppies, French fries, zucchini fries, onion rings, fried green tomatoes, added to burgers and sandwiches, tuna salad, ham salad, egg salad, on baked potatoes and even with potato chips! 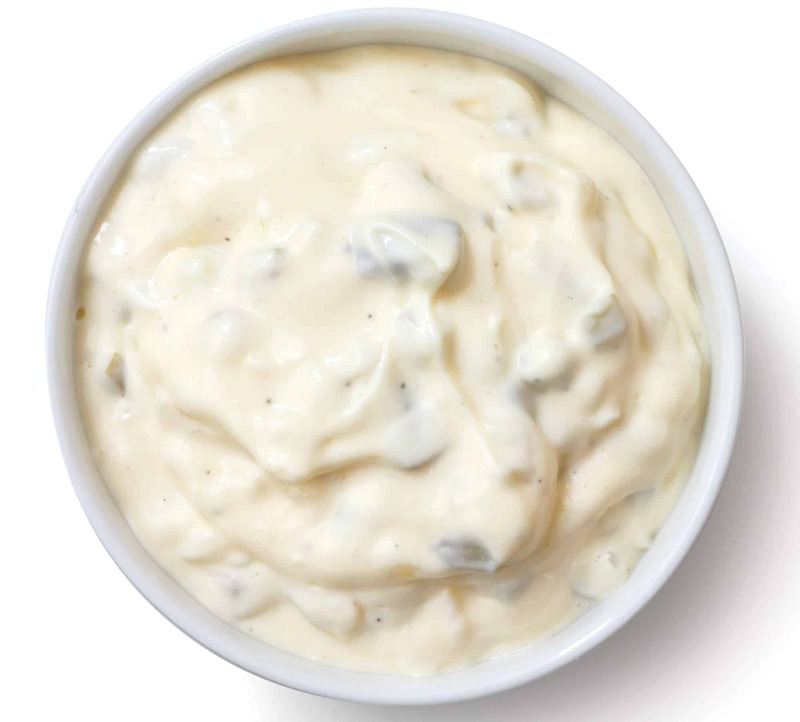 Tartar sauce is easy to make, fantastically delicious, and incredible versatile! It's perfect for fried fish, clams, shrimp, calamari, oysters, boiled lobster, fried chicken tenders, hushpuppies, French fries, zucchini fries, onion rings, fried green tomatoes, added to burgers, tuna salad, ham salad, egg salad, on baked potatoes and even with potato chips! Place all the ingredients in a medium-sized bowl and stir to combine. Chill for at least 2 hours or overnight before serving. The longer the better as the flavors improve over time. Sadly, I’m the only person in my house who appreciates tarter sauce but that just means more for me :) Can’t wait to try your recipe. I love tartar sauce, but I’ve never made it before. Can’t wait to try this! I absolutely LOVE tartar sauce! I’ve been craving some fried fish and chips and this is the perfect tarter sauce to go with it! 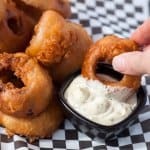 I adore tarar sauce and this looks great – and now I would like those onion rings, thankyouverymuch! Love that you use dill pickles! I love tartar sauce! Next time I will try your tips! Thanks! Homemade is always better! :) This looks perfect. I have never thought of adding Horseradish – sounds a lovely idea. Will try it next time I make Tartare Sauce. Hi Mary! It’s a nice touch for changing things up a bit. I just need to grill up a burger and I am set! I am going to be craving this now! I love tartar sauce and will definitely have to try your recipe! I’ve worked in many restaurants (nationwide),yacht and country clubs and 3&4 star Haute (and Continental) cuisine establishments… and this recipe is a winner! I did add 1 [scant] tsp dill weed,only half shallot,1 tbsp caper and 1/2 tsp mustard. Bon travail!! Thanks for much for the feedback, James! Made this for the first time. Used dill instead of parsley…it was awesome. But then I love dill. Just word of warning don’t make the same mistake I did. I thought I could take a shortcut and use dill relish. It was too runny and salty. So I had to increase mayo and sour cream. I did think it needed more onion, so we added the dehydrated kind. Might have been due to my goof up. I’ll do it right next time and see if it’s not better. Excellent tartar sauce, will be my go-to recipe from now on! I’m so happy to hear it, Jim, thank you! Fantastic, Lisa, thanks so much! Hi. This tartar sauce is amazing. How long it is safe to keep in the refrigerator? Thank you! The ‘extras’ in this sauce were a great addition m. I’ve always made tartar sauce w/ onion relish & mayo , lemon . even my husband said ‘ it tastes like store bought ” he loved it & me too . Thanks.